Splicing is done to create permanent joints between two fibers to extend length of a fiber cable run or to repair a damage in a link. Splicing Equipment is also used to terminate optical fiber cable using factory made pigtails. Fusion and mechanical splicing are the two methods of splicing. Both methods are standard compliant. Fusion splice achieve the best performance in splicing but the equipment is more expensive than mechanical splicing tools. 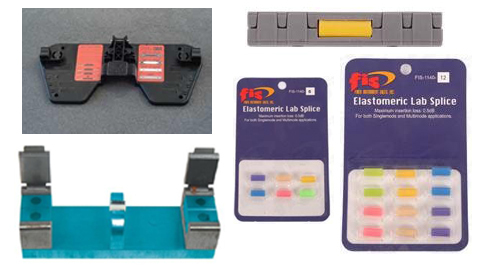 Mechanical splicing have higher loss and greater reflectance than fusion splices. We offer compete solution for mechanical and fusion splicing.